Professor Ailsa Hart trained in medicine at Oxford University and was awarded a First Class Honours Degree in 1992 and the George Pickering Prize for Medicine and Surgery Proxime Accessit in 1995 and prizes for outstanding achievements. She achieved Membership of the Royal College of Physicians in 1998 and trained in Gastroenterology and General Internal Medicine in London. She also worked at the Academic Medical Centre in Amsterdam in 2004. She achieved her PhD in 2005 with Imperial College, London funded by a Wellcome Trust Fellowship. She became a Fellow of the Royal College of Physicians in 2013. She was appointed to the consultant staff of St Mark’s Hospital in 2008 and became a Clinical Senior Lecturer at Imperial College London, having been awarded a highly competitive Clinical Senior Lectureship by the Higher Education Funding Council for England. She is currently Director of St Mark’s Hospital Inflammatory Bowel Disease Unit, which has around 5000 patients, and Honorary Senior Clinical Lecturer at Imperial College. Her clinical work covers the spectrum of gastrointestinal diseases, with a particular interest in inflammatory bowel diseases (Crohn’s disease and ulcerative colitis). Her research interests focus on intestinal immunology and bacteriology aiming to further our understanding of the pathogenesis of inflammatory intestinal disorders. She interdigitates a busy clinical practice with research, both clinical trials in IBD and translational research. In particular at St Mark’s, she runs the “Fistula Research Group”, the “Pouch Research Group” and the “CRC surveillance Research Group”. She links with laboratories within Imperial College, particularly the Antigen Presentation Research Group, whose focus is on human intestinal dendritic cells and their role in homing and compartmentalisation of the immune response. She has piloted faecal transplantation as a treatment for refractory pouchitis funded by the Eli and Edyth Broad Foundation. She is coordinator of the British Society of Gastroenterology “Gut Microbiota for Health” Expert Panel and a member of Imperial College “Centre of Digestive and Gut Health”. She is involved in teaching and training both nationally and internationally and has lectured by invitation at over 200 meetings. Her research work led to the publishing of two books, with “Inflammatory Bowel Disease - an Evidence-based Practical Guide” selling over 2500 copies and being a best seller at national and international meetings. She has also published over 100 papers and book chapters. 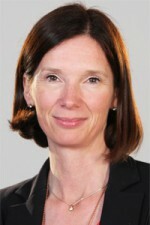 She is a member of national and international IBD committees and consensus groups. She has received a number of awards including first prize in an “Emerging Leaders in Gastroenterology” competition, the Novartis Foundation bursary and prizes awarded by the British Society of Gastroenterology and the United European Gastroenterology Society for outstanding research contributions. She is one of five members of the Clinical Committee of the European Crohn’s and Colitis Organisation (ECCO); on the IBD Committee for the British Society of Gastroenterology, UK Patient and Public Involvement Lead for Gastroenterology for the CRN; Sub-Dean of St Mark’s Hospital; and collaborates widely across the UK particularly within the UK IBD Genetics Consortium. She was elected onto the International Organisation for the study of IBD (IOIBD) in 2014. The IOIBD, whose aim is to promote the health of those with IBD worldwide, is the only international organisation dedicated to the study of these illnesses. The IOIBD’s mission statement is to “promote the health of people with IBD worldwide by setting the direction for patient care, education and research.” This is a highly prestigious appointment, as only 50 physicians and surgeons worldwide have been elected onto this organisation.